This article is 470 days old. Point Pelee National Park will be closed to visitors starting January 12th to January 26th, 2018. 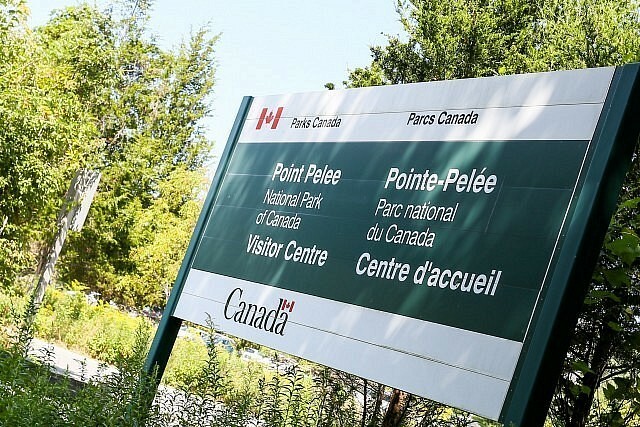 Parks Canada and Caldwell First Nation will be conducting a deer population reduction in the park as part of a multi-year plan to restore ecosystems at Point Pelee National Park. According to Parks Canada officials, hyperabundant white-tailed deer are a serious threat to forest and savannah ecosystems at the park. Through over-browsing, the deer in the park are threatening the health of the Carolinian forest which is home to many species at risk such as the red-headed woodpecker and red mulberry trees. Heavy browsing by deer is also jeopardizing park efforts to restore the Lake Erie Sandspit Savannah, a globally rare ecosystem that supports 25% of the species at risk in the park. They say that based on over 30 years of research and monitoring, a healthy balanced ecosystem at Point Pelee National Park would ideally support 24 to 32 deer. The annual deer count took place at Point Pelee in early December. This year’s deer population estimate is 103 individuals, up from 84 last December. The mild winter of 2016/2017, an abundance of leafy canopy to eat and, most importantly, a lack of natural predators such as wolves and bears, have allowed the population of white-tailed deer in the park to grow to three to four times higher than what the park’s ecosystem can sustain. The deer that are culled will be used by Caldwell First Nation for personal, community and ceremonial purposes, and will not be sold for profit.